Stuff is broken in your life and it needs fixing. From your washing machine just dribbling cold water, to your driver-side car window not rolling down (or back up again), to your computer going kerflooey…again! How can you not complain about all the wrong that’s not right in your life!? How do you draw the line, pump the breaks, and stop that downward spiral that comes from too much complaining and not enough setting things straight? 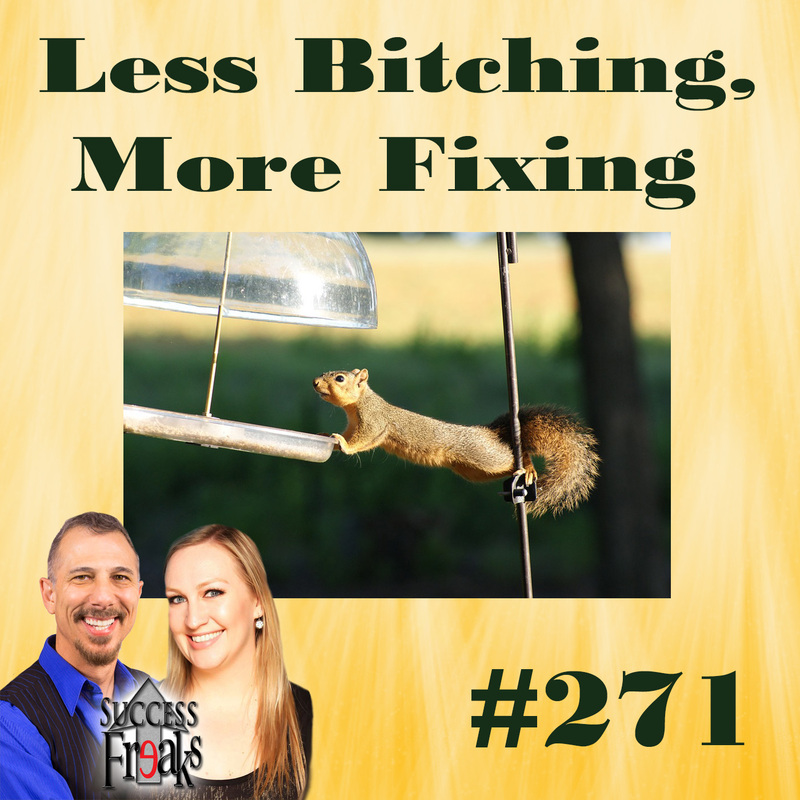 Less Bitching, More Fixing is not only this episode’s title, it’s an affirmation, a mantra, your battle cry for changing things for the better in your life. Join Mordant & Kirsten as they share what’s been on the fritz in their lives. They talk about some of their problems and how they’re going about fixing them. If you ever needed motivation to try doing it yourself, Less Bitching, More Fixing is the episode for you. Check things out on the DIY-side of life! Since its inception in 2011, Success Freaks has lived up to its own hype as the “#1 late-night comedic motivational show.” A 2011 & 2012 Podcast Awards nominee, Success Freaks entertains & edifies with its charismatic co-hosts, captivating sense of humor and positive, thought-provoking content.